Please read this additional article about my experience with Baron Fig notebooks before you purchase any! There are times when a notebook falls far short of my expectations. There are also times when a notebook far exceeds my expectations. 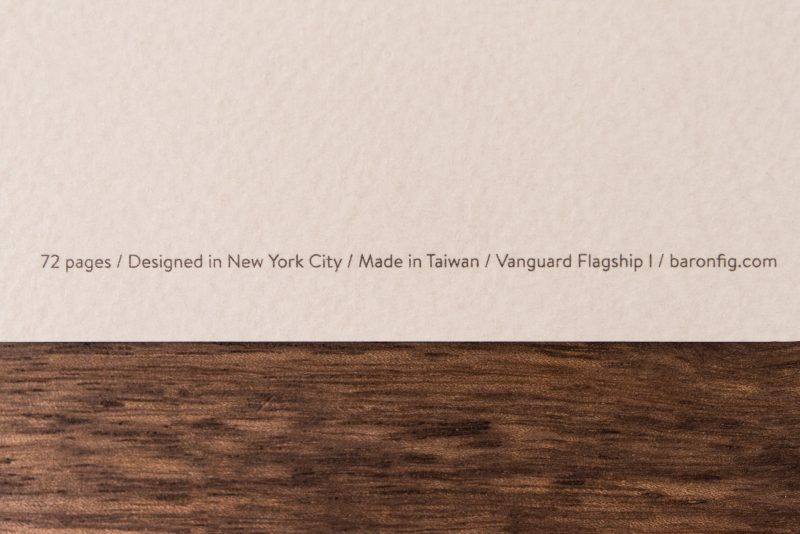 Fortunately, the Baron Fig Vanguard falls squarely in the latter category. 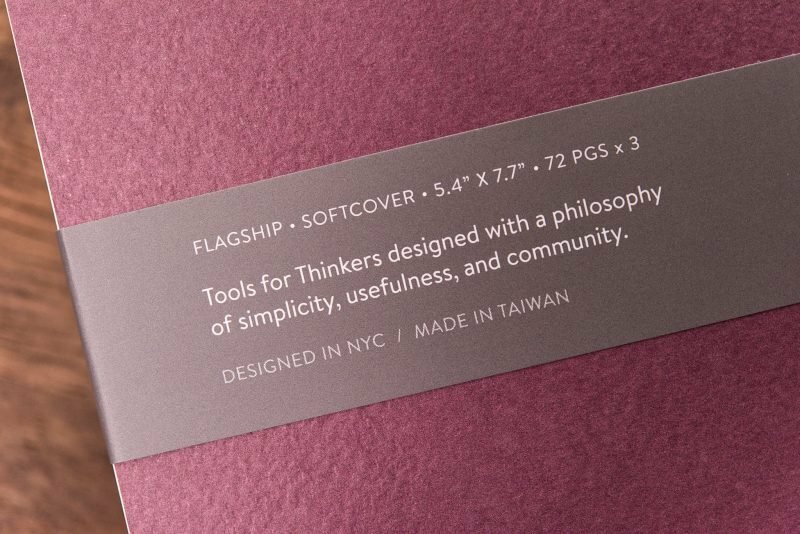 I had heard people talk about Baron Fig products with an almost cult-like undertone. Their products, which started out as a Kickstarter project, were widely available and fairly mainstream. Because of this, I set my bar low and expected something along the lines of a hipster Moleskine. I’ve never been more glad to be wrong. 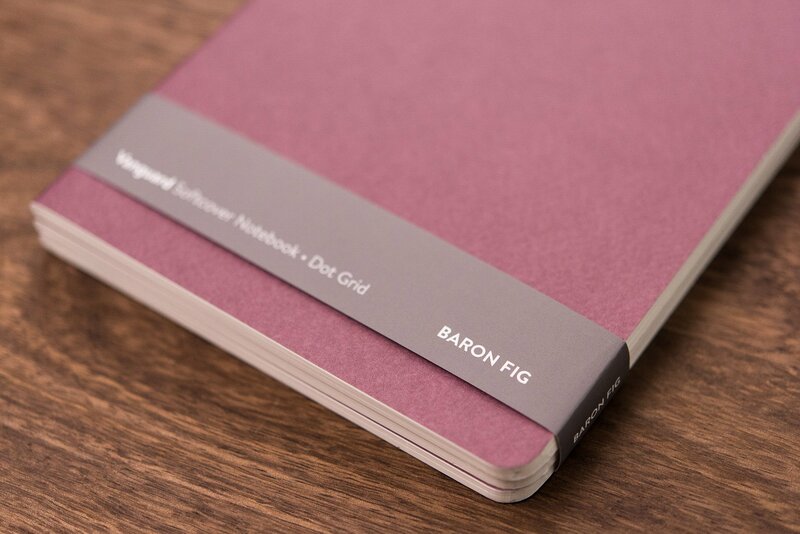 When I got my first 3-pack of Baron Fig notebooks, I thought that they looked great. I always like a slim notebook and these are definitely slim. 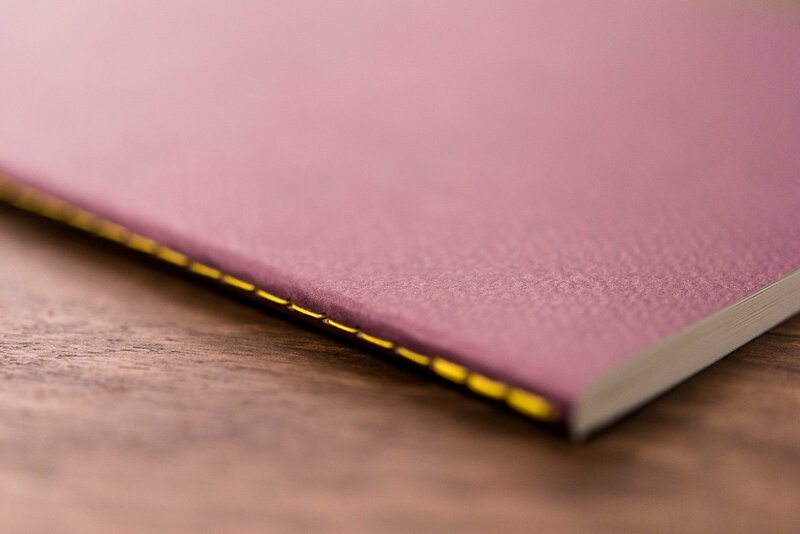 I also liked the color… the wine cover and yellow binding really go well together. 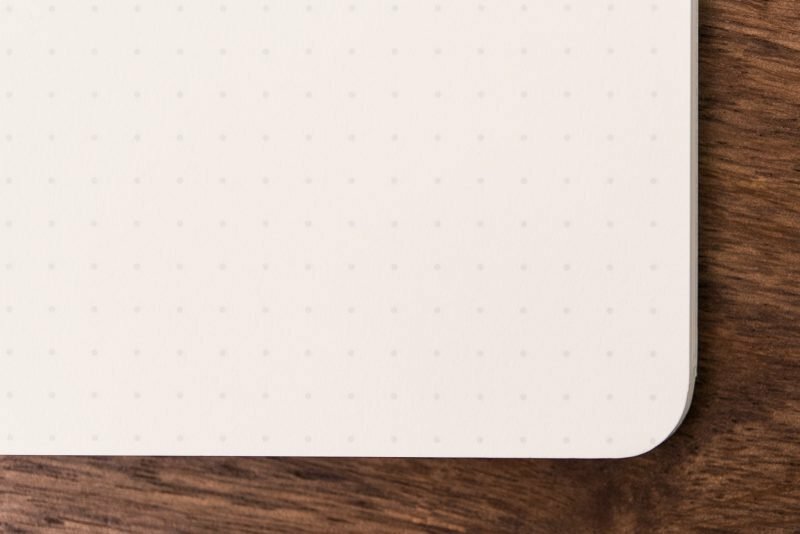 While the design is simple, the notebooks still carry themselves with a touch of sophistication. Inside you’ll find no bells and whistles, only paper. There are no page numbers, elastic closures, index or page ribbons to be found. The Vanguard notebooks come in packs of three. Here is what the cover of one notebook looks like. Do the details make the Baron Fig Vanguard special? 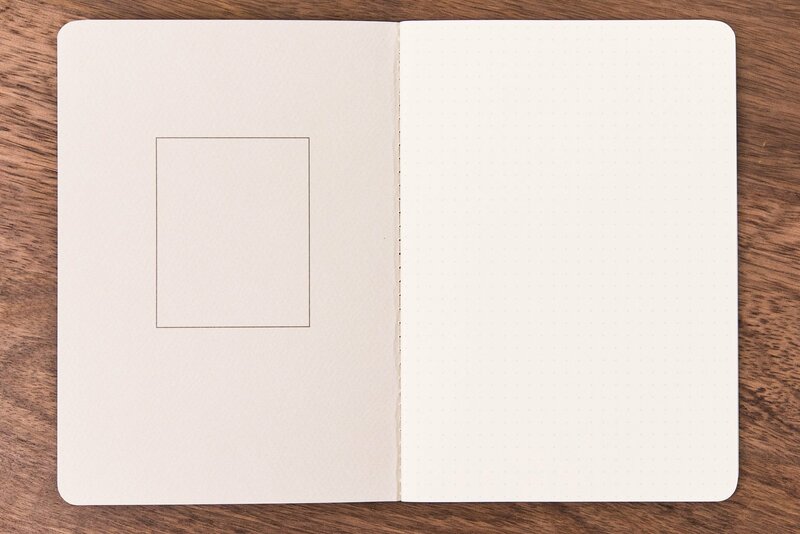 The notebook opens directly to the first sheet of writing paper. The stitch binding helps the notebook’s durability and also helps it to lay flat. The binding is also a nice design element. If the details don’t really make the Vanguard special and the design doesn’t really make it special, what makes it special? As always, it’s the paper. Before I go into that, though, let’s talk a bit more about the design. The Vanguard notebook is a soft cover notebook. The cover is made out of a nicely textured card stock. It is not stiff enough to write on without something supporting it. 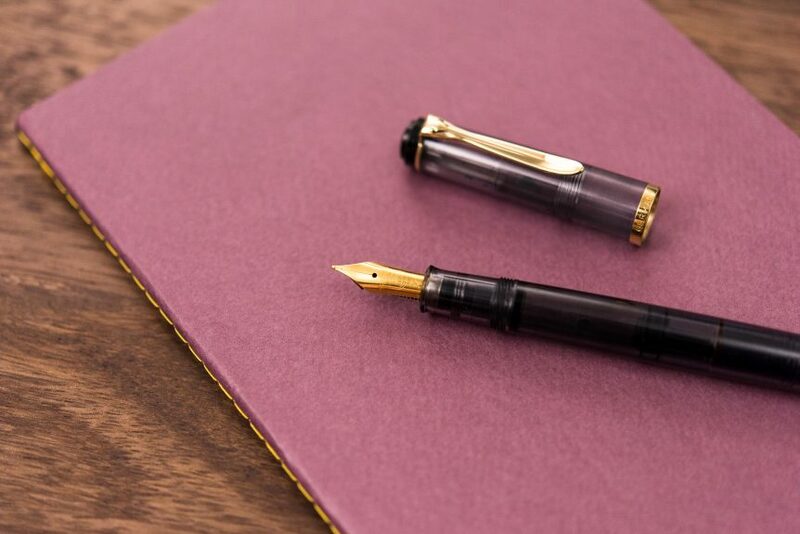 The notebook is basically one big signature, so it does not automatically lay flat. Fortunately, it doesn’t take much effort to make it stay open, but you will probably have to open it past flat at least once so that it doesn’t close when you set it down. 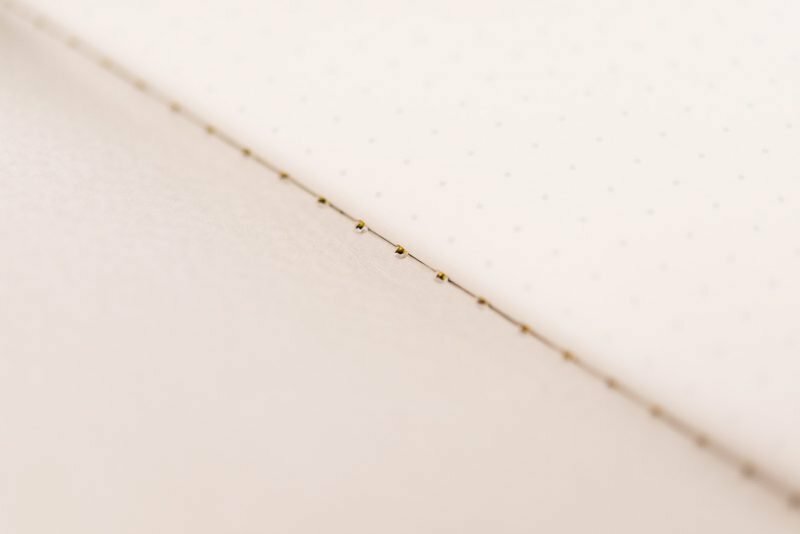 The stitch binding is not only attractive, but will also make this notebook last longer than a glued binding. 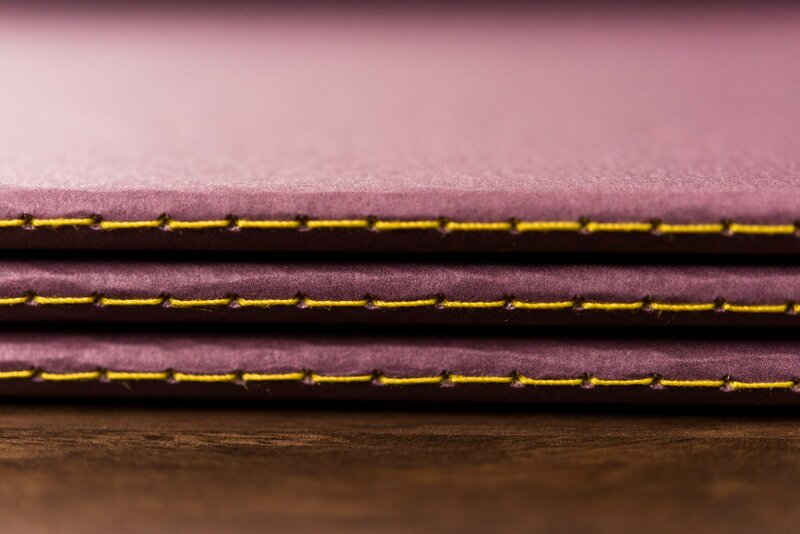 The stitch binding is attractive and offers some color contrast to the cover. Now let’s talk about that paper. 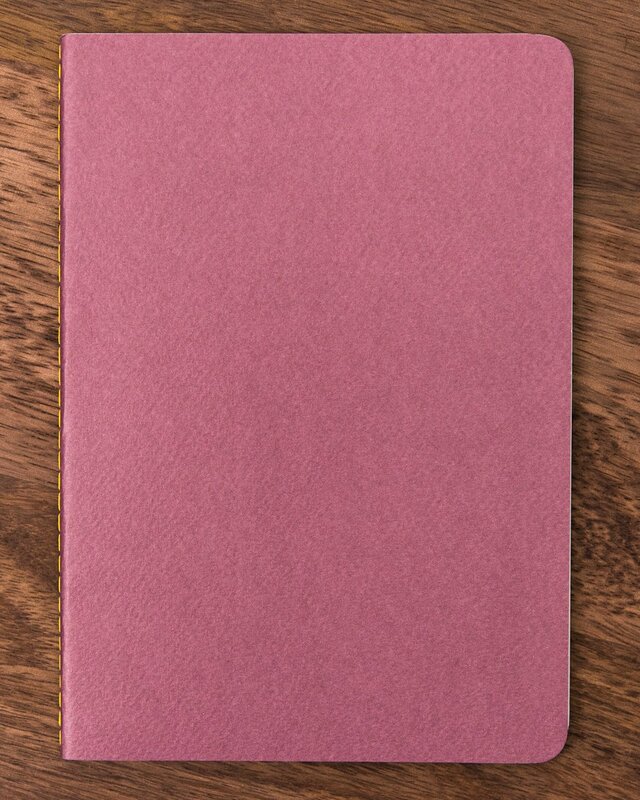 The first thing you should know is that this is not a Japanese paper, so don’t expect it to be amazingly smooth. With that being said, it is a fairly smooth paper but does have some feedback when you write. This is something that I enjoy, so it doesn’t bother me a bit.  The paper is a cream color and the dot-grid pattern is a non-intrusive light grey.  The paper is a cream color and the dots are light grey. The paper performs very well with fountain pen inks. Ink tends to dry on it very quickly, making this notebook great for anyone who doesn’t like waiting for ink to dry. 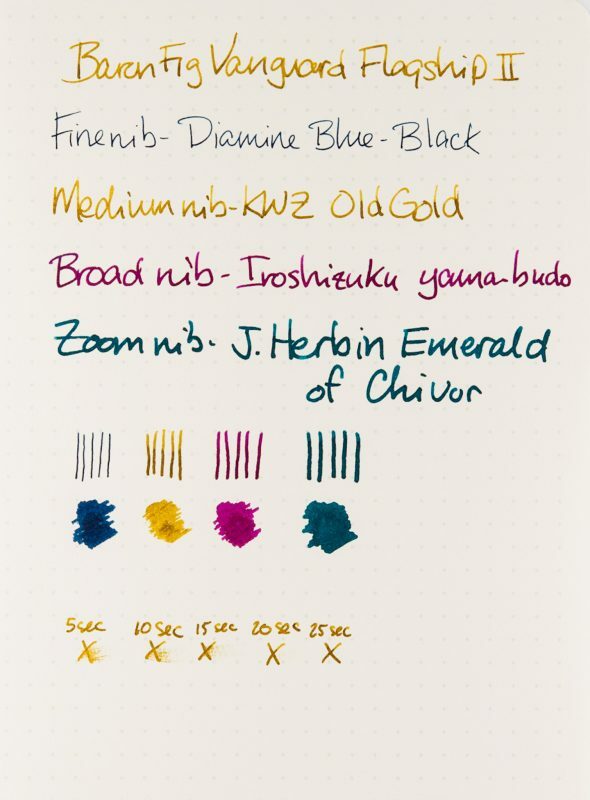 This does affect how inks sheen on it. In all of my writing, while I did see a bit of sheen, it’s not what I would consider a sheeny paper. Surprisingly, it still showed a good amount of shading despite the fast dry times. In my tests, this paper had very little bleeding, low ghosting and no feathering. The only time I experienced any bleeding was when using a very wet nib with a very saturated ink. Again, for a paper that has such low dry times, I’m surprised I didn’t see more bleeding. Ghosting is also low, which means you’ll have no problem using both sides of a sheet. I saw zero feathering in my tests and regular use. I mentioned that the paper is what really makes this notebook special. Baron Fig products are constantly evolving, which is something that I learned first-hand. The notebook that I tested was the Vanguard II, meaning it was the second iteration of their Vanguard notebook. I purchased another 3-pack and didn’t realize that it was the original Vanguard instead of the Vanguard II. I have to say, they definitely improved the paper! The old paper is not nearly as good. It doesn’t handle ink as well, has more feedback, doesn’t show off the color of the inks quite as well as the new paper and the dots showed some ink resist. The Vanguard II is truly a better notebook, so if you want one that lives up to this review, make sure that’s what you get and not the older Vanguard I. Here you can see that this is the Vanguard Flagship I (not II). I bought my first Baron Fig notebooks expecting no more than a glorified Moleskine, but it turns out I found a new favorite notebook for regular use! I have added the Baron Fig Vanguard to my regular notebook lineup for taking notes. I find them very enjoyable to write in, due to the texture of the paper, the amount of shading I see in my writing and the fast dry times. They come in many different colors and sizes, so there should be something for everyone. If you do want to try one out, please make sure that you buy the latest notebook version (which at the time of writing is the Vanguard II). I can’t wait to see how Baron Fig improves this notebook with the Vanguard III, but until then I’ll happily be writing away in my Vanguard II. Here’s some more of the info found on the paper wrapper. Who this notebook is for: Anyone who wants high quality paper with fast dry times.